例：I slept like a log until morning. 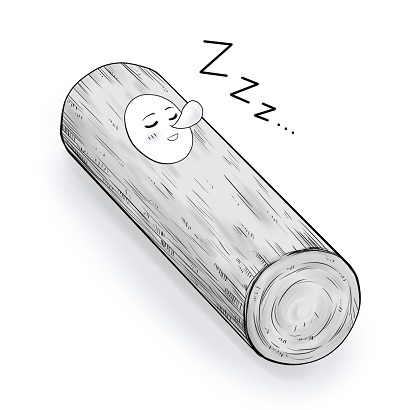 例：After a long day of skiing, I slept like a baby/log last night. I should have gone to bed and slept like a log. But my body was strung out. I couldn't get to sleep until midnight, and I was wide awake at 4am.